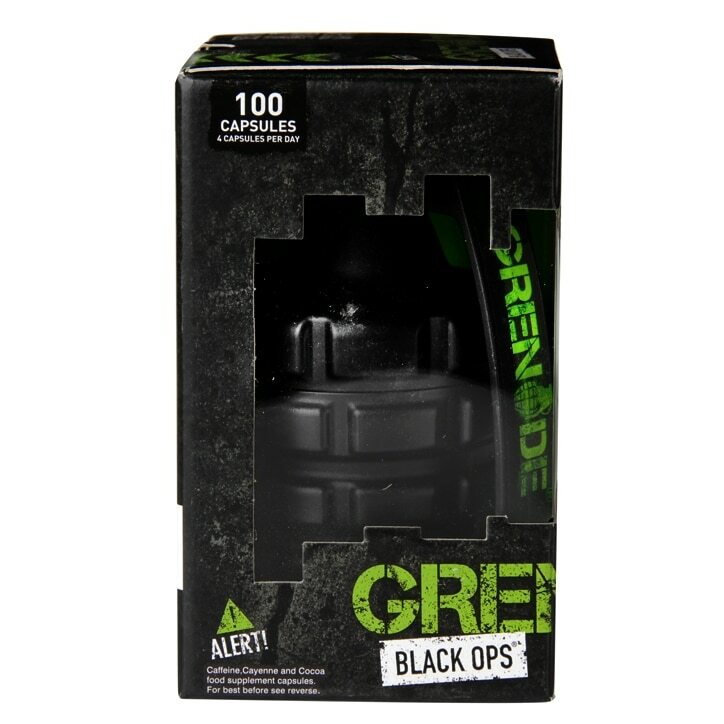 Grenade Black Ops Capsules is rated 3.6 out of 5 by 5. Rated 2 out of 5 by Joggie from Would not buy again. Bought this product with great expectations. Have been following calorie controlled diet for a while (no more than 800 calories a day) in combination with regular 40mins workout (3-4 times a week). Have been taking grenade black ops 2 capsules on waking up and 2 capsules either before meal (30mins before) or before workout and 2 weeks down the line I had absolutely no results! The product is very expensive and with no results I give it a big thumbs down - would not buy again. Rated 5 out of 5 by Parth from GRENADE BLACK OPS GOOD FAT BURNER IN MARKET Before using Black Ops I used Grenade Thermo Detonator. It was good but Black ops is better I recommend taking 1 after waking up and 2 before meal or work out. You'll see results after session.